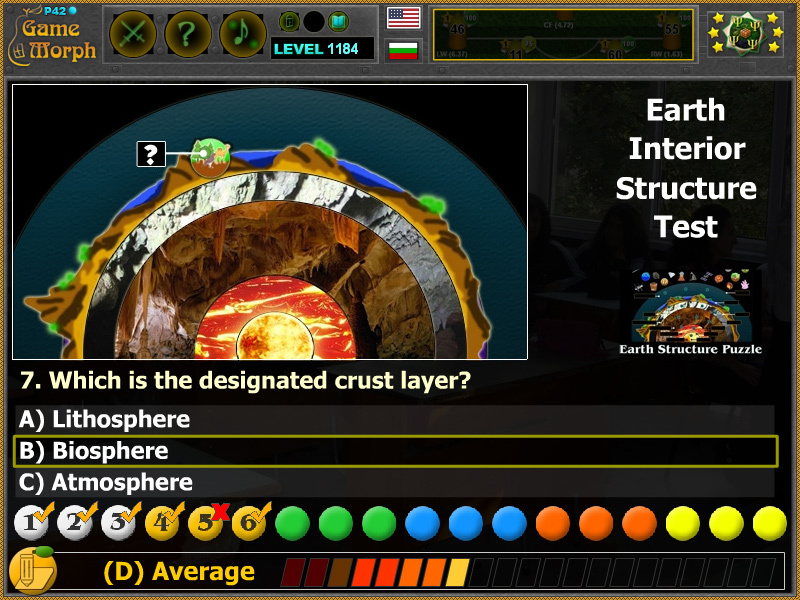 "Earth Structure Test" is a free online test to evaluate knowledge for interior layers of the Earth. 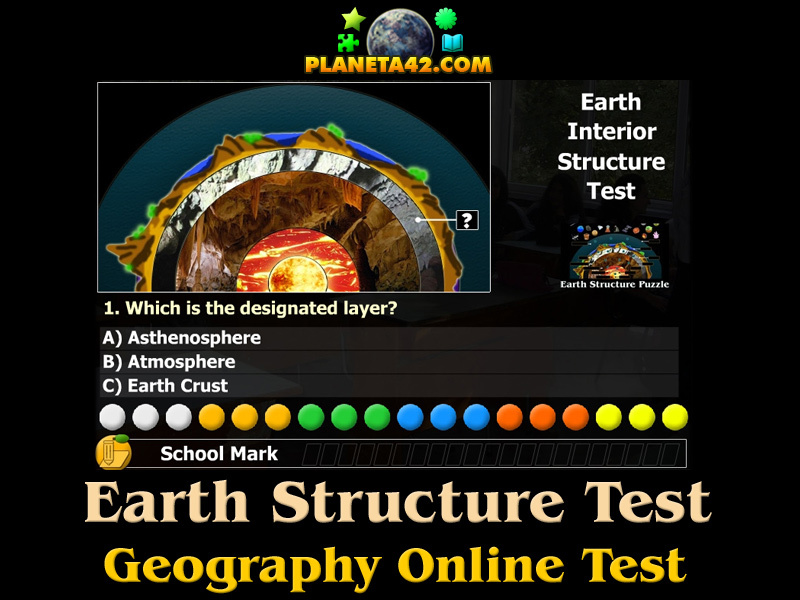 This test include knowledge about the internal structure of the Earth, studied in 8 or 9 grade. Fun geography test with integrated evaluation system, suitable for online lessons and interactive exams. 1. Which is the designated layer? 2. Which is the designated layer? 3. Which is the designated layer? 4. Which is the designated layer? 5. Which is the designated layer? 6. Which is the designated layer? 7. Which is the designated crust layer? 8. Which is the designated crust layer? 9. Which is the designated crust layer? 10. Which is the designated crust layer? 11. What is the composition of the Mantle? 12. What is the temperature of the Mantle? 13. Which is the designated layer? 14. How deep is the center of the world? 15. What is the depth of the Outer Core? 16. What is the depth of the Mantle? 17. What is the depth of the Asthenosphere? 18. What is the depth of the Earth Crust? Diagrams and test code by Ogo Bob. How to play Earth Structure Test. Run the test on your school tablet or notebook. Read the text under the picture and select one of 3 answers. The questions are based on the picture above it. After finishing the test, it will generate a school mark, which can be written in to the class book. After you are done, leave the test on the screen and call the teacher to check the result. Know 5 properties about the Earth interior structure and get +1 Knowledge Level. Test subject: Structure of the Earth. Before solving this test, go to the puzzle game about the interior structure of the Earth and sort it 2-3 times. Then try the test to get a good mark.